Acquiring new customers may seem like the Holy Grail for most businesses. New customers can be most important for startups with tight budgets. When funds are limited, it’s understandable that you may believe only new customers will boost revenue as quickly as by increasing the customer base. The mistake that some businesses make is staying in “customer acquisition” mode forever. While acquiring new customers is crucial to growing any business, what many companies fail to realize is that this is only the first step towards building a successful enterprise. What’s just as, or perhaps even more critical, is customer retention. Failure to nurture new customers can quickly increase churn. So why in the world should businesses worry so much about churn in the first place? What’s wrong with focusing on attracting new customers who are also bringing in revenue? Several marketing studies that have been done show that losing existing customers costs a lot more than acquiring new ones. According to Harvard Business Review acquiring a new customer can cost anywhere from 5 to 25 times more than retaining an existing one. Another study by Frederick Reichheld of Bain & Company indicates that increasing customer retention by only five percent can generate more than a 25 percent increase in profit. Unfortunately, not many businesses consider the financial impact of a high churn rate. They keep focusing on putting in more time and money towards generating new leads and sales. As a result, they struggle just to survive, much less thrive. All studies indicate that putting the same time and effort towards keeping existing customers happy would be far more beneficial. And sustainable. Loyal customers bring in far more profits with much less energy. They are already familiar with your products and services. They trust you and are happy with your customer service. All of this puts them in a better mood to keep buying more from you. Happy customers bring in another significant benefit – they act as ambassadors for your company, bringing in new customers through word of mouth recommendations. You can’t beat that for free marketing. While it’s impossible to reduce churn rate to 0%, there are ways you can do to prevent and stop excessive customer churn. Here are five specific strategies which will help you reduce customer churn rates. # 1- Provide Stellar Customer Service. Always. You might say “Duh Dmitry, this is obvious!” Stay with me though, I promise this section will be valuable. Unsatisfactory service is the #1 reason why customers leave a company. With so many choices available today, customers refuse to compromise. And why should they? If they’re not happy with your service, they know they have plenty of other options to choose from. Consider this scenario – every time you lose a customer, it’s your competitor who scores one up on you, making them a little bit stronger. As they go from strength to strength increasing their loyal customer base with your ex-customers, your business will soon be left biting the dust. Customers don’t want to be treated like just another account or statistic. They want to be recognized as the individuals that they are and feel like they are truly heard. Incorporate a culture of empathy among your employees involves. There is an excellent example from the interview with CultureAmp on Nextiva blog talking about the importance of empathy in customer service and how to train your staff to be more empathetic during your interactions with customers. Chances are you will only hear from a customer when they have a complaint about your product or service. Why wait for that to happen? Far better to be proactive and initiate conversations. This prevents small, manageable problems from blowing up into a full-scale disaster. You don’t necessarily need to have anything pressing to discuss. Kick it off with a welcome letter with details of who to get in touch with in case they need any help at all. Follow up with regular emails reminding them you are there to help. Regular communication tells the customer their welfare is top of your mind. It also allows you to recognize unarticulated needs and respond to recommendations. Always address the customer by their name. It’s a small detail that makes a huge difference and goes a long way towards forging a stronger relationship with the customer. Make sure you understand which channels your customers prefer to receive communication on from your brand. In today’s day and age with so many telemarketing calls and cold emails, 89% of consumers prefer to use text messages to interact with businesses as primary means of communication. When you personalize your connections, be aware of the channel you’re using to communicate. Add value at every touchpoint. Think of every correspondence as an opportunity to reinforce the value propositions of your products and services. Explain how your offerings can continue to help a customer reach their goals. Helping a customer meet their goals will be a win-win for both you and your customer. Give top priority to addressing customer complaints. Bad news travels fast and can have a domino effect on your business. Losing one customer does not just translate to losing the business that that one customer brings in. It also means the loss of potential new customers. 67% of customer churn is preventable if firms resolve issues the first time they occur. Assigning your best employees to handle customer complaints ensures that all issues are resolved efficiently and immediately. Follow back after resolving a problem. You may think you’ve addressed the complaint and fixed the problem, but is the customer happy with the solution you’ve provided? Is it what they were looking for — is it what they want? Did the solution hold up, or did the problem recur? You’ll never know unless you follow up. Some customers may just give up after the first unsatisfactory experience. Instead of raising another complaint, they may find it easier to take their business elsewhere. #2 – Focus On Proper Onboarding, Education & Engagement. Just providing customers with a product, however good, is not enough if they don’t understand exactly how it works or the full potential of what it can do. Offering product demos, video tutorials and free pieces of training that highlight all the features of your products and services provides customers with better user experience. 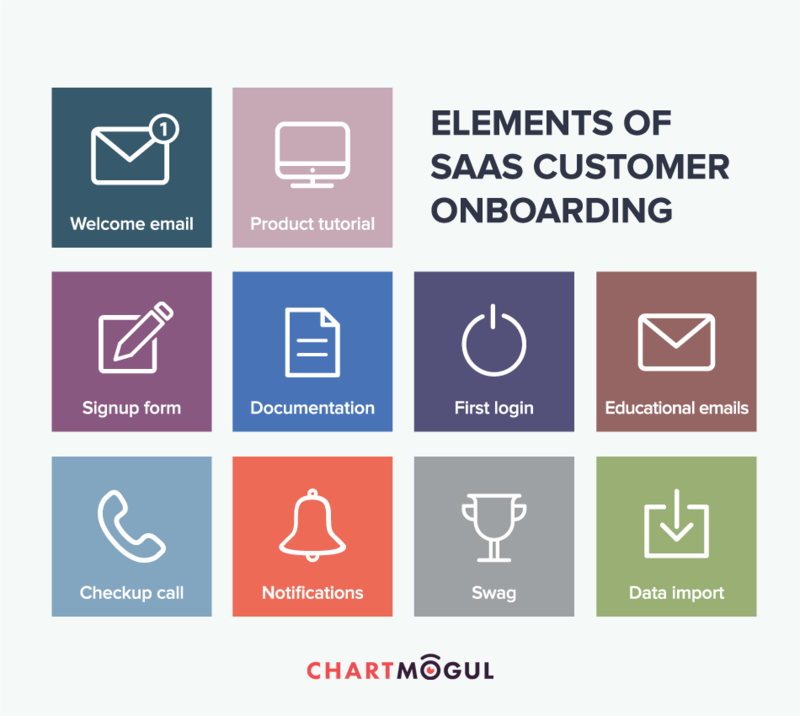 Proper onboarding focuses on improving customer experience and providing useful information to ensure the customer gets maximum value from their purchase. It also fosters an ongoing relationship with customers. The onboarding experience is a multi-step process that starts the moment you close the sale. 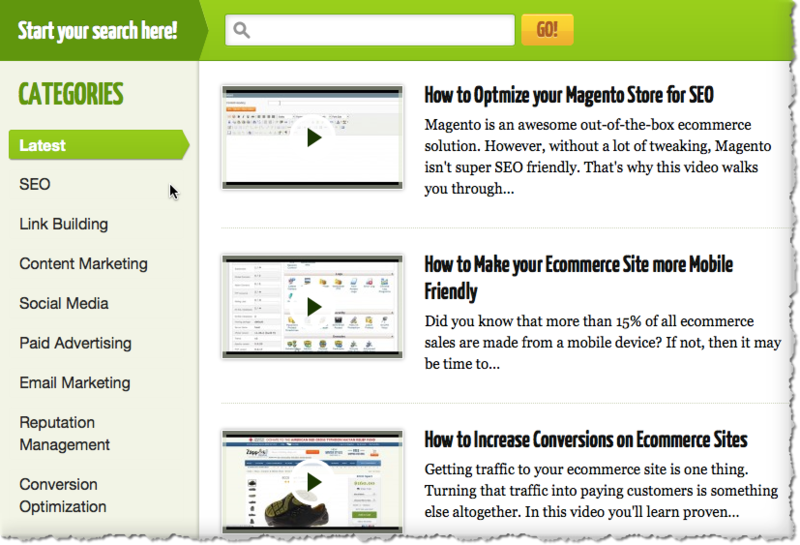 Quicksprout University does an excellent job of taking onboarding to the next level by educating and engaging their visitors with more than 120 videos teaching them every aspect of online marketing. Proper onboarding supported by relevant education is integral to reducing customer frustration. #3 Listen To Your Customers. Two of the most accessible and most affordable ways to listen to your customers is by conducting surveys and soliciting feedback. Both of these strategies allow you to assess customer satisfaction and give you valuable insight into what areas you need to improve, or maybe even change. The key to a successful survey is to keep it as short as possible and easy to complete while asking the right questions. Good survey questions ask short questions that require the survey taker to tick a box with the right answer or give a yes or no answer. Customers are more likely to answer questions that require them to tick a box or answer ‘yes’ or ‘no’ rather than write out lengthy answers. #4 Reward Your Most Loyal Customers. Everyone looks forward to receiving gifts. Show customers you appreciate their loyalty by offering them generous gifts. It doesn’t cost much, but the rewards can be phenomenal. These examples demonstrate that rewards are very effective at accelerating business growth. Dropbox — Existing Dropbox users that procured new signups were rewarded with additional storage space. Their referral program earned Dropbox 4 million unique users in as little as 15 months. All new users got the same incentive on signing up, tempting them to stay on as loyal customers. Airbnb — Airbnb offered referrers $25 in travel credit for every new member that took their first trip. Hosting a guest for the first time earned them an additional $75 in travel credit. As a result, loyal Airbnb customers continued to stay loyal. Amazon Prime — This is one of the most widely known rewards programs in recent times. Amazon Prime members are rewarded with a slew of benefits, from special deals to free delivery. Set up loyalty rewards programs. Airlines and hotels keep their customers loyal by offering generous flier and loyalty miles. These work as a huge incentive to keep customers coming back for more. A successful loyalty rewards program should be relevant to your business and provide additional value over and above your primary offerings. Consider offering free access to a premium product even if only for a limited period. Gift cards and other freebies can also go a long way in making a customer feel appreciated, and more likely to stay around for more. Has a customer been with you five years or maybe even just three or two years? Show them you appreciate their business with a small gift, preferably something you know they’d love – tickets to the opera, a bottle of wine, or a swag bag with select branded items. A customer celebrating a milestone wedding anniversary may appreciate a complimentary meal for two at a swanky new restaurant. Offer discounts on recurring subscriptions or extensions. Resisting a good discount is hard. Even someone who may have been in two minds about renewing their subscription is sure to jump in and take you up on the offer. Whether it’s a camera for the best photograph in a specific category, or a laptop for the most creative flyer promoting your product, engaging customers in friendly competitions is a fun way to build stronger bonds and keep customers loyal. #5 Stay Abreast Of Market Trends In Your Industry. Every industry operates within its own unique dynamics. Understanding these industry-specific dynamics and staying on top of market trends allows you to compare your progress with that of your competitors. Monitor your competition closely. Developing a competitive monitoring strategy is vital to your business success. How are your competitors attracting new customers? What are they offering as bonuses or rewards to loyal customers? What is their churn rate? If your churn rate is higher than the average in your industry, it’s time to take stock, re-evaluate and adopt a new strategy that focuses more on keeping existing customers and less on acquiring new ones. The writing is on the wall: Unhappy customers = Higher churn rate and Higher churn rate = Lower revenues and profits. We all understand this; it’s just a matter of getting up and doing something about the churn rate we all have with our businesses. It’s tempting to focus on inbound leads and just continue increasing traffic and conversion. If you have a leaky funnel and your customers churn at a higher rate then similar businesses in your niche you will end up working 3X as hard just to keep up with your competition. You’ll have a heck of a time trying to outpace them. Churn rate is one of the most overlooked metrics and yet one of the most important ones to work on for your business. Over to you! I’d love to hear which one of these five tactics you plan on using in 2019.